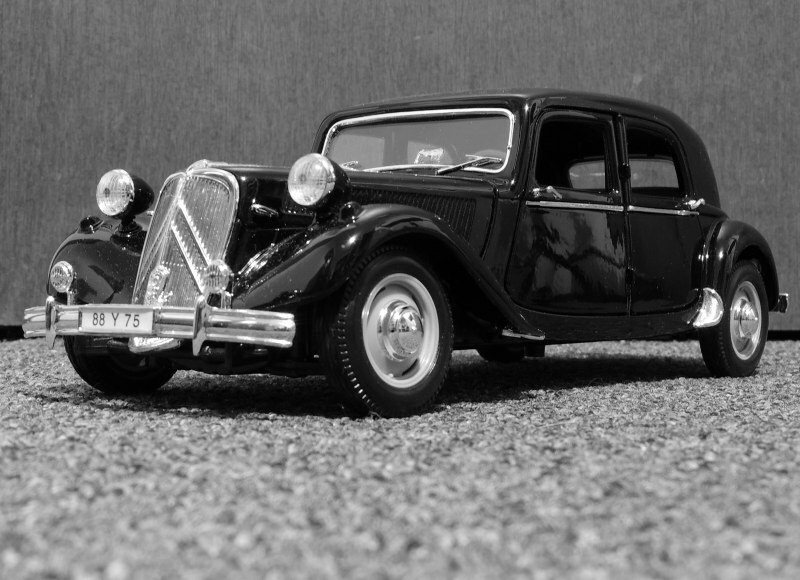 One of the few French cars that actually looks good, the 1934 – 1957 Citroen 15CV Traction Avant was an astounding car. 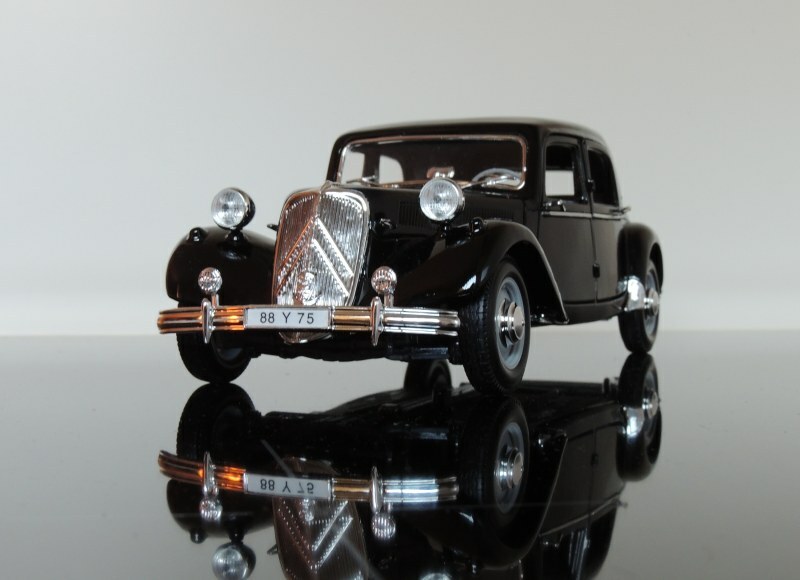 The grandfather of the modern front-wheel drive car, history has seen it as a French army vehicle, a Gestapo staff car, a gangster saloon (Traction Gang), and a robust, reliable, and comfortable private car. 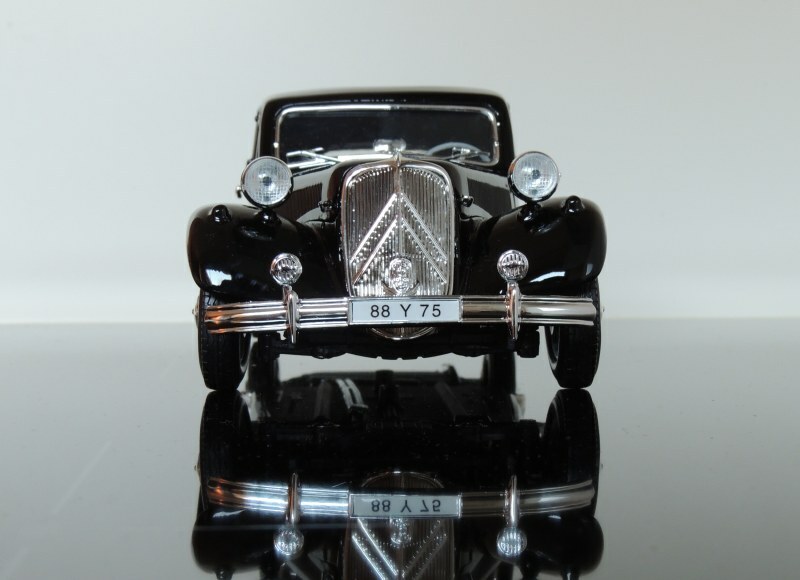 It also has flowing wings and a stately shape, which is really what prompted me to add this model to my somewhat Concours d’élégance collection. 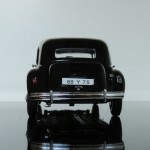 Yet, in the absence of running boards, the shape is still uniquely French. Is that good? At any rate, the 15CV looked lovely, so I preordered it, waited over a year, and finally received it. A consequence of the wait was that the price of the Maisto’s had gone up $10 from when I ordered it, so that I was forced to pay $60.00. $60 is a tad steep for a Maisto 1:18 model, especially considering it is not their finest effort by any stretch of the imagination. 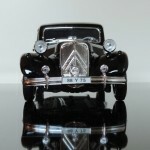 The 15CV’s exterior is beautifully cast, and the paintwork is fine. Nothing amiss here. 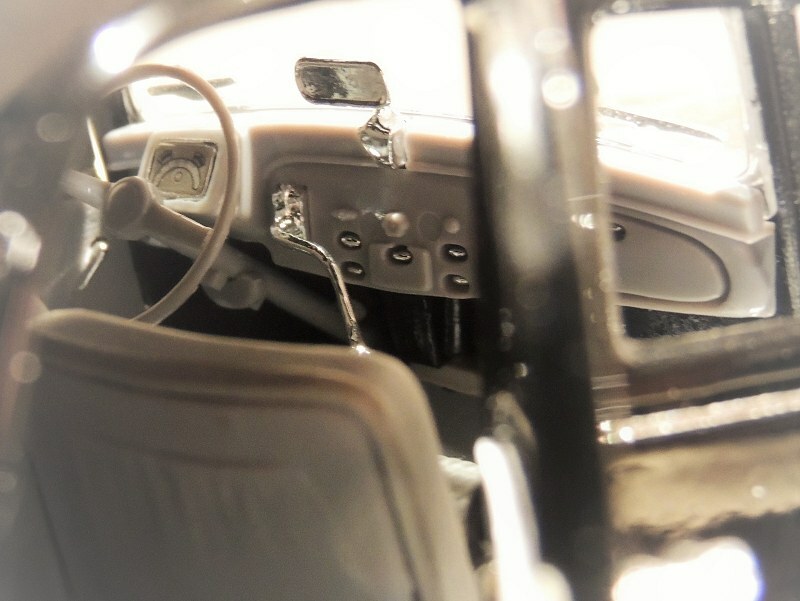 However, the chrome is typically cheap and unrefined; the front grille is a slab of chrome plastic with poor detailing, the door handles are reasonable but poorly glued, and the top of the windscreen chrome surround can be bent to touch the bottom, before flinging back into place. The headlights suffered from ugly black studs, before I removed the units and painted the stalks white. Okay, overall, but not good. What’s good, however, is the doors. Both are functional, the front ‘suicide’ doors, and the rear standard doors. 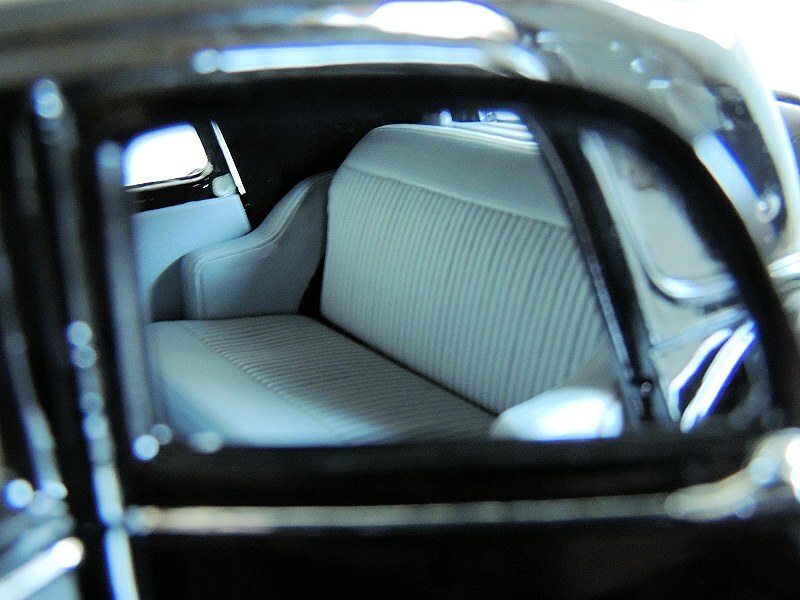 It’s not to be taken for granted that both doors open on a Maisto saloon car, so this is good. The exterior, therefore, is presentable. I like the cabin, on the whole. With the unfortunate exception of rough, unpainted metal showing on the underside of the roof and the pillars, the seats are textured and realistic, the dashboard is really quite commendable, and colour? It’s a Spartan grey, a hue that many of the real ones had. Good, good, but I really cannot excuse the sandpaper-roughness on the inside of the B & C pillars. If hobby shops, universally, see fit to increase pricing by $10 a year, they’d better make sure the product is worth it. I’m not sure that the 15CV really is. Opening the traditional two centre-hinged bonnets reveals an engine. Surprise, surprise! What is a surprise, however, is the cheap and nasty look it possesses. 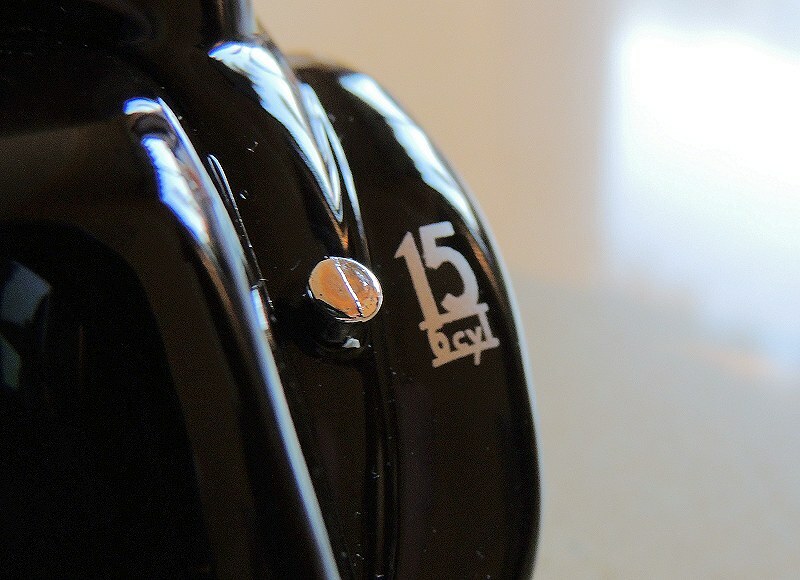 The 15CV’s motor is a poorly-molded clump of army-green plastic that does not really resemble a motor at all. Thankfully, there is a red cap and lead – I love those – which helps cover the motor’s shame, but even that is formed from poor, translucent plastic. Disappointing. 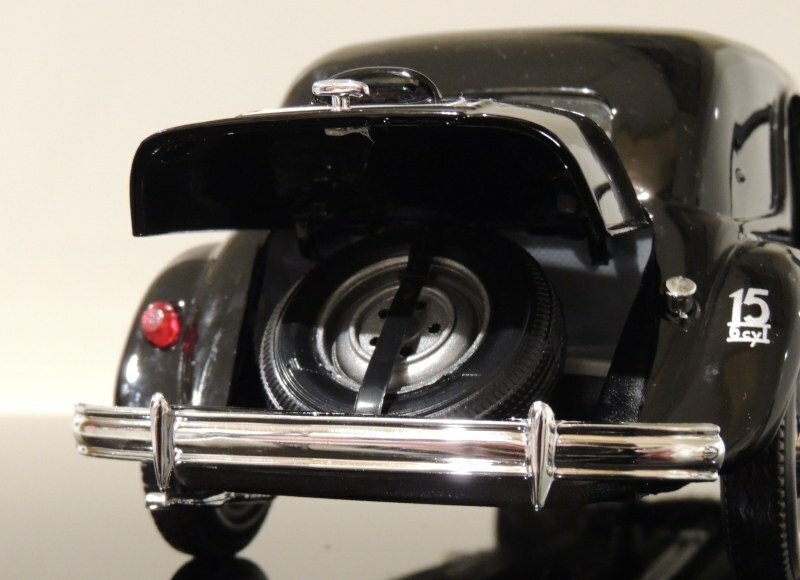 The boot – which was an addition for the 15CV’s 1954 update – opens to reveal a spare wheel and a small luggage bench, which would probably be sufficient room to hold a 1:18 scale thimble (The 15CV’s boot would be better called a spare wheel cover, in reality). On that note, though, I compared the Maisto Citroen 15CV TA with a Maisto Mercedes-Benz 300S, and found that the spare wheels were the same! Maisto must have thought that they could save money by having all the spare wheels of their classic cars the same, but I’ve found them out now. Ha! 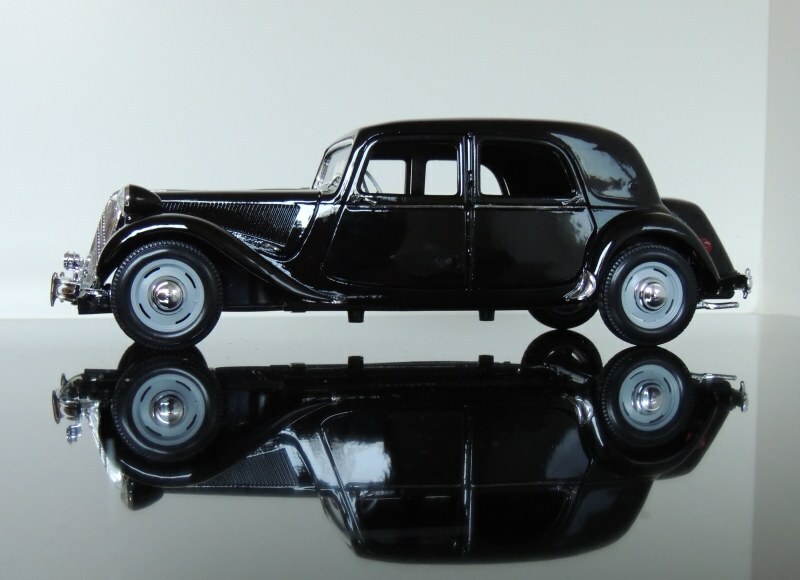 Unfortunately, there’s no gold medal for the Maisto Citroen 15CV Traction Avant. There’s a few too many cut corners and poor efforts. 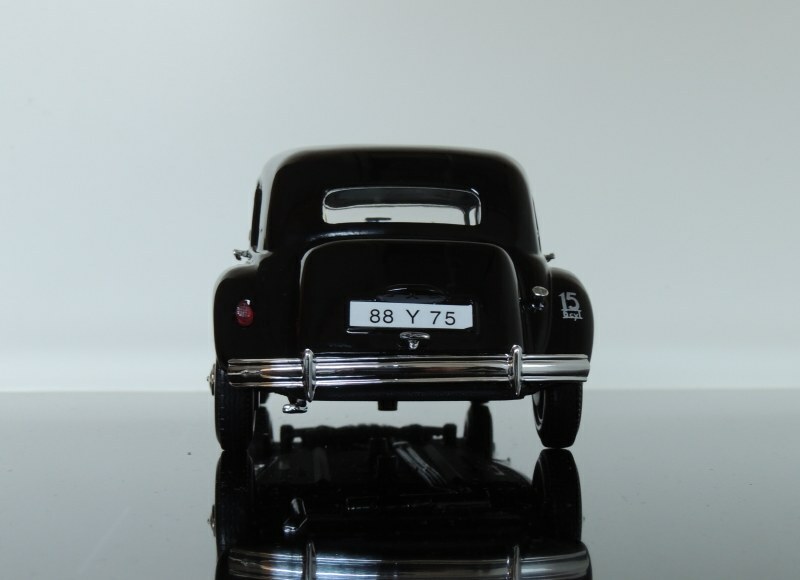 The even more unfortunate reality is that it’s only 1:18 15CV saloon on the market, so if you desire the 15CV’s lovely silhouette to grace your cabinet, you don’t have much choice. What you do have a choice in, however, is how much you pay. Don’t pay more than its worth, and that’s nothing, disappointingly, above $40. 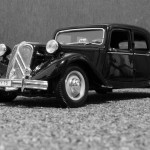 1 Response to "REVIEW: Maisto 1954 Citroen 15CV Traction Avant"
I agree with the statement on this being a good car, but the French have made many more good cars than you think. Otherwise, an excellent review with a few quirky and unreliable statements on the French and their cars, but apart from that, a very nice review.